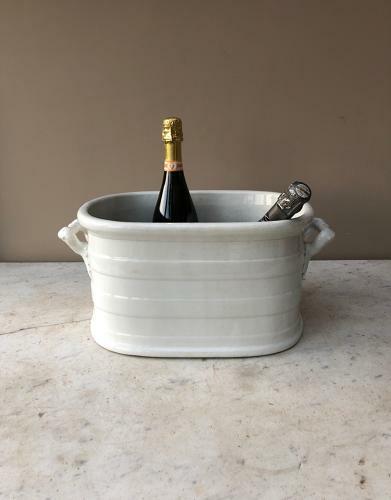 Edwardian White Ironstone Banded Footbath. These are perfect party or dinner party drink coolers - just fill with ice. No damage...age crazing and few light stain marks inside. VERY heavy and so this can be posted but via Parcel Force 48 for £18.